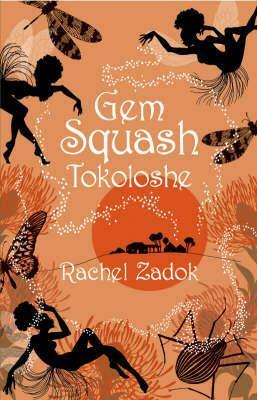 I’ve been wondering what to read next and looking at my bookshelves Gem Squash Tokoloshe by Rachel Zadok caught my eye. Something wake him, stir a hunger in his guts, call. He lick the breeze, taste a morsel of fear on the icy air. His glands drip, his cheeks, taut drawn, long to stretch, distort with moans and screams. There’s pain out there. She just sat there hardly moving, staring at the drive. Black marks formed under her eyes where her lashes bled their waxy coating onto her skin. Her rouged cheeks were smudged. Mother looked like she was melting in the heat. Faith leads an isolated existence on her family’s drought stricken farm in the Northern Transvaal of South Africa. When the rain stopped, her father took to the road as a travelling salesman, returning only at weekends. Now Faith lives with her mother Bella and dog Boesman anticipating his visits – until one day he stops coming and Bella’s health begins to go into rapid decline. Fifteen years later Bella has died incarcerated in the Sterkfontein asylum for the criminally insane. Faith has not spoken to her mother for ten years and is on the brink of a breakdown of her own. Now, with her mother’s death, she inherits the farm and must return to confront the dark mysteries of the past . . . In prose as lithe and imaginative as that of Alexandra Fuller, Rachel Zadok te Riele recreates the voice of a young girl growing up during the height of apartheid unrest in South Africa. As Faith struggles to make sense of the complex world in which she lives and come to terms with the beliefs her society and upbringing have inculcated in her, what emerges is a richly compelling, emotionally resonant tale of courage set against the backdrop of a chaotically divided and deeply beautiful country. The Soul Seeker section is creepy and disturbing. I flicked to the end of the book to find a final section entitled The Baby Snatcher, printed in the same font as The Soul Seeker and now I’m intrigued to find out what comes in between. This sounds very atmospheric, Margaret. And t does sound unsettling, too. I’m intrigued, though, and I’ll be interested in what you think of it. I enjoy books that take me into areas of the world that I’d never visit otherwise. This sounds like an unusual and maybe disturbing book. I’m intrigued. Sounds really creepy but a little to literary for my tastes. I hope you enjoy it. This week I am featuring Lethal in Old Lace by Duffy Brown – a cozy with large amounts of humor. Happy reading! Not my type of read, but I hope you enjoy it. I’m struck by how beautiful the language is. Its not something I find in the average mystery..
I’m not sure if I’d read on or not. It sounds interesting and disturbing.